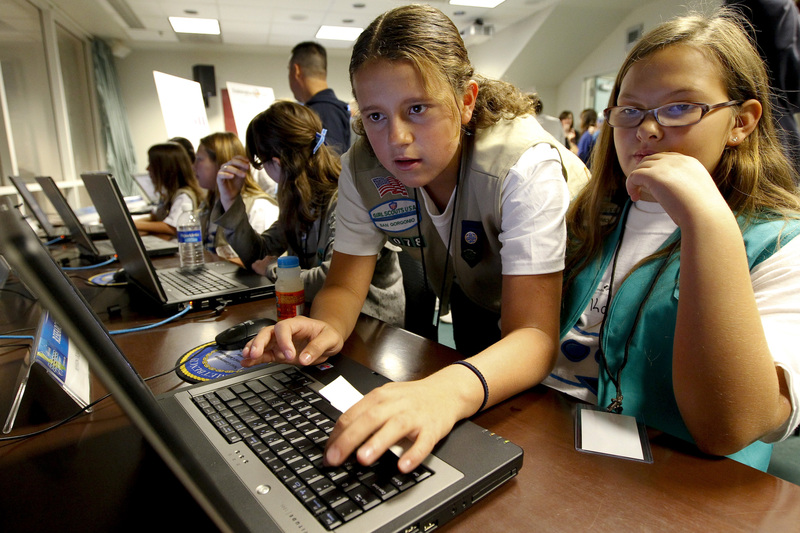 The University of Wisconsin School of Business recently announced its creation of a seminar series led by Girl Scouts. The series will be a required course for all newly-accepted business school students. The seminar will center its focus on effective marketing practices and how to establish a target audience. The leader of the local girl scout troop Savannah Smiles said they were first inspired to teach a class at the business school after selling girl scout cookies on Mifflin Street during St. Patrick’s day festivities. The leader reported a 300 percent increase in profit after just one day. However, not everyone is a fan of the new seminar series. Some have referred to it as “pointless,” while others fear that the content level of the course will be over their heads. Others reiterated his opinion, worried that the Girl Scout’s would only offer a “woman’s perspective” of the business world. Business school junior Chad Johnson, who will be required to take the seminar after failing an introductory level marketing course, was heavily opposed to the new lecture series, sharing many of the same viewpoints as Adderall. Despite heavy opposition from the majority of the business school, the seminar will begin as scheduled at the start of fall semester. Attendance will make up 50 percent of the class grade and cookies will not be provided.